Even moving to a new town can’t stop Julia Stone from still having nightmares about an evil person known only as The Creep. Luckily for Julia, Dr. Forrest is helping Julia get over her fears of The Creep. As much as Julia appreciates Dr. Forrest’s help, strange things are happening to Julia. For example… Julia awakes to find the clock time always stops at 4:06 am. The nightmares that Julia keeps having don’t really seem like nightmares at all but images of events that are real. Will Julia ever find the peace she desires? 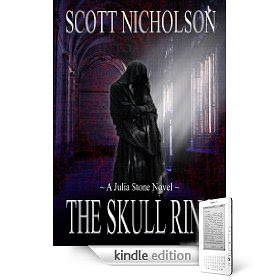 The Skull Ring by Scott Nicholson is the first novel I have read by this author. 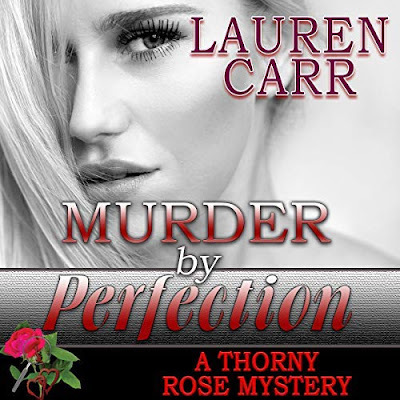 If you are looking for a new horror book mixed with both mystery and psychological elements incorporated into the story then you should give this book a try. Be warned as this book does touch into cults and a few points in this story related the cults might be a little graphic for those who are weak in the stomach. My only issue was that Julia kind of got on my nerves. She would jump at every noise and sound. Overall, though I really did find myself enjoying this book.